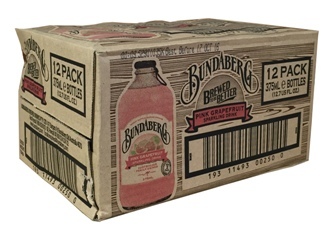 There are regular Pink Grapefruit drinks, and then there’s the Pink Grapefruit drink in Bundaberg's sparkling selection. Craft-brewed from the best real fruit, there’s no going back. Carbonated Water, Sugar, Pink Grapefruit Juice from Concentrate (5%), Pink Grapefruit Brew (Water, Sugar, Pink Grapefruit Juice Concentrate, Yeast), Flavouring, Citric Acid, Antioxidant (Ascorbic Acid), Preservatives (E211, E202), Colours (Purple Sweet Potato, Lycopene) . love this drink, amazing and exotic taste! !